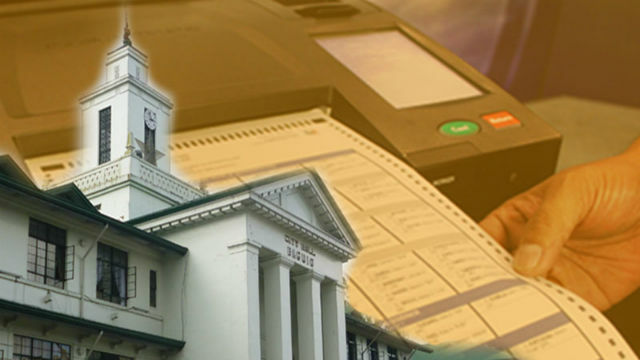 BAGUIO CITY – The Commission on Elections (Comelec) will be conducting a roadshow on the actual use of the vote counting machines (BCMs) which will be used by the poll body during the automated May 2019 mid-term elections. City Election Officer John Paul Martin said that the VCMs that will be used for the roadshow in the city will be available on January 28-31 and February 28, 2o1i. He called on interested groups wanting to be presented with the new VCMs to coordinate with the local election office considering that the demonstration of the added features of the VCM will be done on a first come, first serve basis. The VCMs will be the machine that will be used by the poll body in the canvassing of the votes in the precinct level before the data will be subsequently transmitted to the city and national board of canvassers. Martin assured that the VCMs to be used during the May 2019 mid-term elections have new features that will add up in ensuring the sanctity of the ballots when canvassed by the said machines on the close of the elections. After the VCM road show next week, the poll official confirmed that election officers will be undergoing the required trainings for them to be able to cascade to the members of the board of election inspectors and board of election canvassers the ways and means to operate the VCMs. He added the members of the board of election inspectors and board of election canvassers will be required to undergo similar trainings on how to effectively and efficiently use the VCMs for them to be able to familiarize themselves with the new features of the said machines for the benefit of ensuring the integrity and credibility of the conduct of the upcoming political exercise. According to him, there will be a continuous voter education that will be conducted by the poll body in the different parts of the city to make voters ware of their duties and responsibilities in ensuring the sanctity of their ballots on the day of the elections and for them to be aware of their contributions in making that the elections in the city are honest, orderly, peaceful, inclusive and transparent. While it is true that the conduct of the elections in the city has been peaceful and orderly in the past political exercises, Martin underscored that it is also high time for candidates aspiring for various elected positions in the local level, their supporters and the voters to make sure that the elections is also clean by preventing the rampant vote buying and vote selling activities of politicians and enterprising voters. The election officer said that the voters must be empowered to shy away from vote buying and vote selling activities that are being perpetrated by a number of politicians so that it will be the right people who will be put in place in the different elected positions for them to serve the greater interest of the people and not their own selfish interest or the interest of their family members that they will serve once they will be able to lad in a seat in the local level.